As you probably already have heard or read, in the last few weeks Huntsville High School athletes have achieved incredible success on the state level! 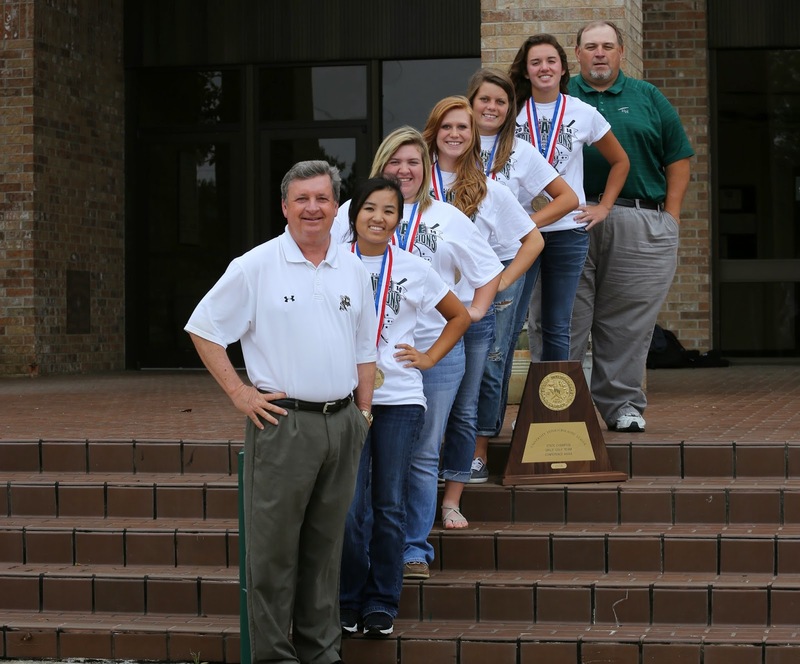 The Lady Hornets Golf Team and Coaching Staff have a LOT to smile about! Paige Weiss, Reece Haralson, Courtney Tibletti, Coach Leatherman. The Lady Hornet Golf Team won the State Championships, Track & Fielder Audie Wyatt earned first place in the State in the Pole Vaulting competition, and of course Megan Gautreaux rode to a Girl's State Championship in Mountain Biking. But do you wonder what they would say for themselves? 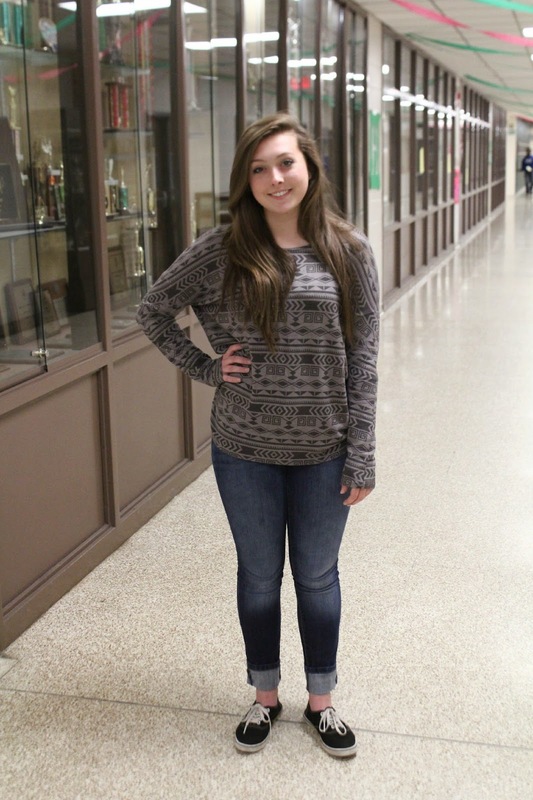 Megan is a student during school, and mountain bike champion after! Well, today you can hear from our champion athletes speak for themselves as all of these students will be featured on today's episode of "That Friday Show," as each athlete shares the excitement and gratitude that their success brings. 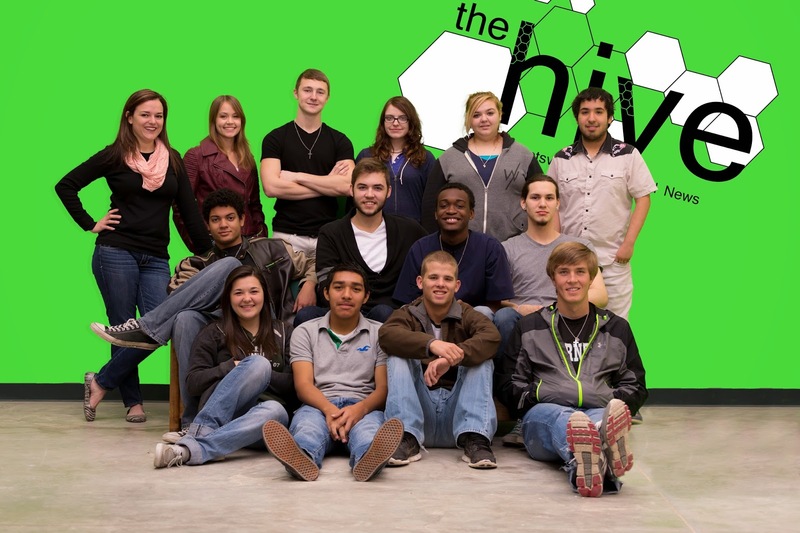 We have become accustomed to tuning to The Hive for announcements or viewing episodes on YouTube- it's our go-to source for all things Huntsville High. And anyone that visits the High School has no doubt seen students with cameras and microphones in their hands, so it's hard to imagine this is just the first year of these video announcements, and that the program started over the summer under the leadership of Mandy Stewart with a group of enthusiastic student volunteers. Arturo behind the camera, setting up the shot. The show airs every day with a special longer edition each Friday. Teachers, principals, student organizations and clubs of all kinds appreciate being able to get information to the students, and the students appreciate getting the info...and seeing the sometimes ridiculous, always entertaining commercials. As Mrs. Stewart explains, when she began teaching here at the High School and took over the The Hive, it was a print edition that cost the school $500.00 for 500 copies. Not only was it expensive, it came out once a month and therefore it naturally contained some 'old news.' 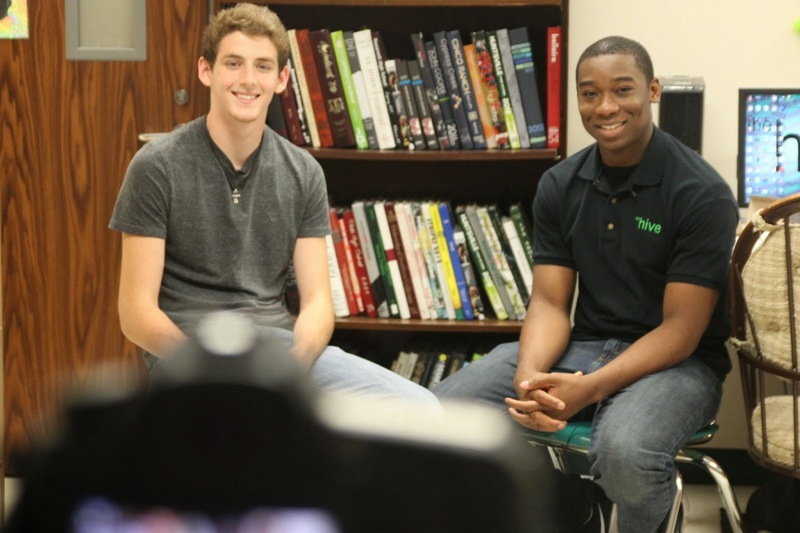 Around that same time, Huntsville ISD was opening up YouTube for teachers. With Principal Burt's thumbs up, Mrs. Stewart saw an opportunity to launch. Sydney & Daniel enjoy The Hive's"sumptuous" set. It may look a little funky off camera, but it looks pretty darn good on camera. As we celebrate the athletic success of our Hornet Family, we can also recognize the success of the program we turn to to keep informed of all things Huntsville High School! !